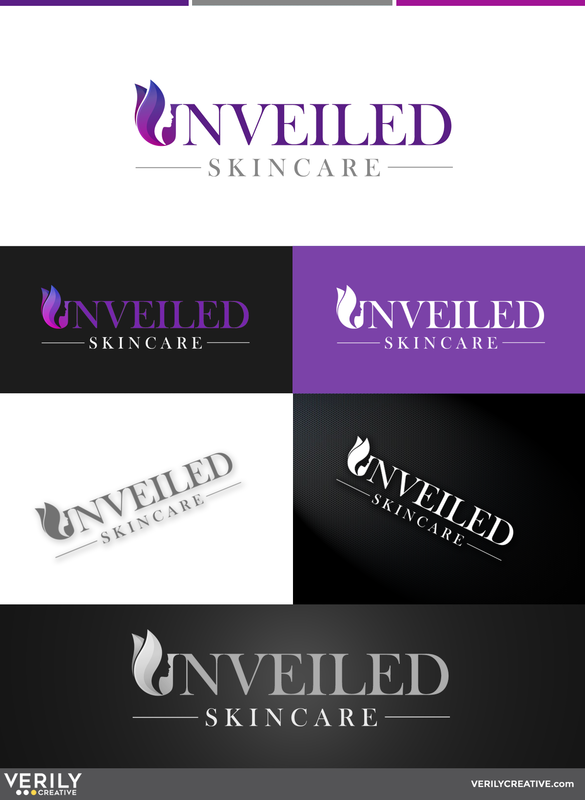 In February of 2017, Verily Creative was given the opportunity to participate in the brand creation for a startup skincare company on the east side of Cincinnati, Unveiled Skincare. This esthetician-run business wanted to convey “the unveiling of inner beauty,” and had a deep appreciation for deep purples. While the logo was presented in both full color and monotone versions, the main logo, and much of the materials created since, have utilized a gradient of purples, with some pinks and blues.